Fr. 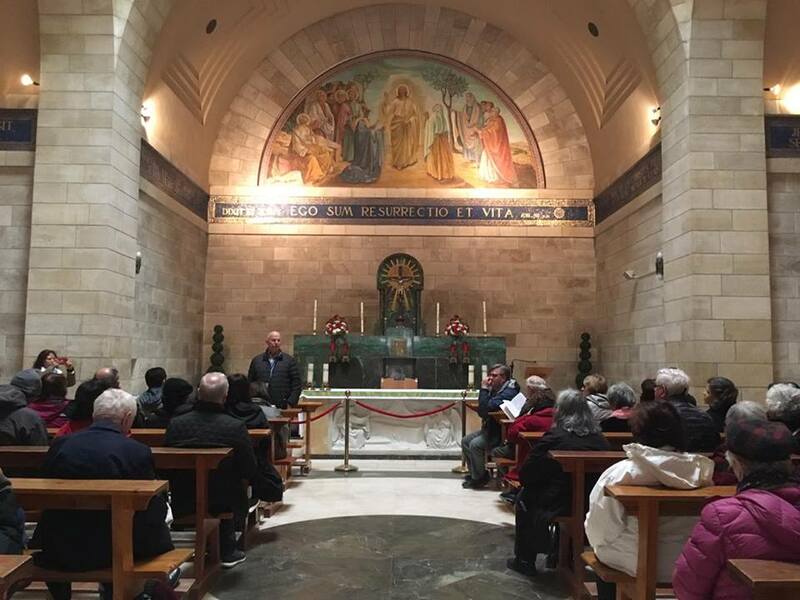 Laurence Freeman, OSB led a Pilgrimage to the Holy Land last February 15, 2019. 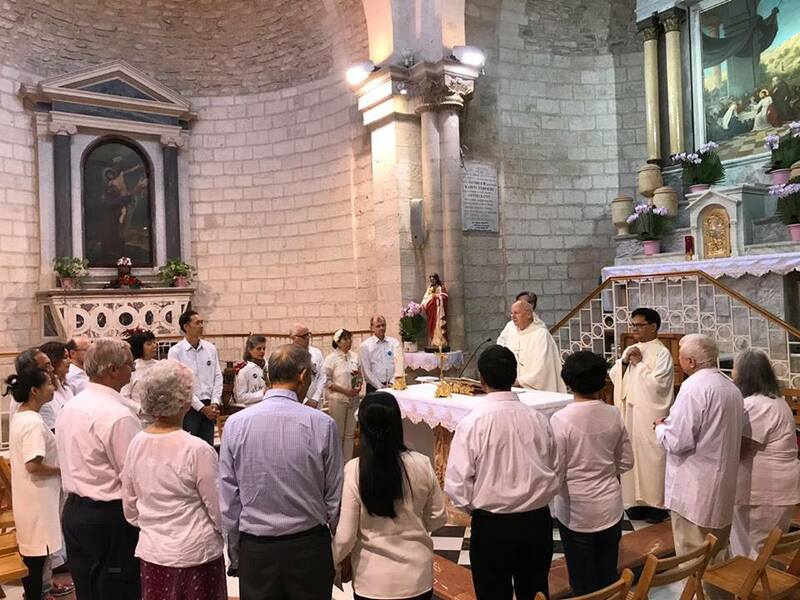 The pilgrimage was highlighted by deep reflections from Fr. Laurence at every place that was visited with some moments of contemplative meditation afterwards. The group also had daily meditation at the beginning and end of each day. 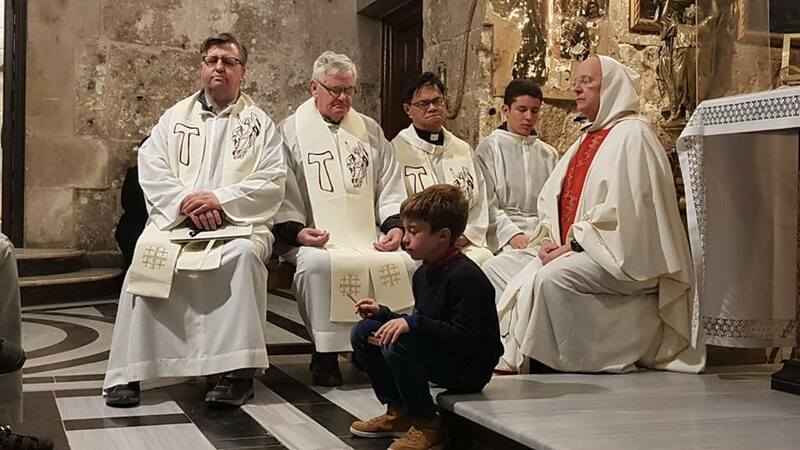 It was a blessed, unique and very fulfilling experience for each pilgrim. The work of Jesus was to preach and to heal, and to communicate the Word of God so that God’s presence becomes a reality in us and among us. We are called to go into our inner room in silence and to set our mind to the Kingdom of God. ~ Fr. 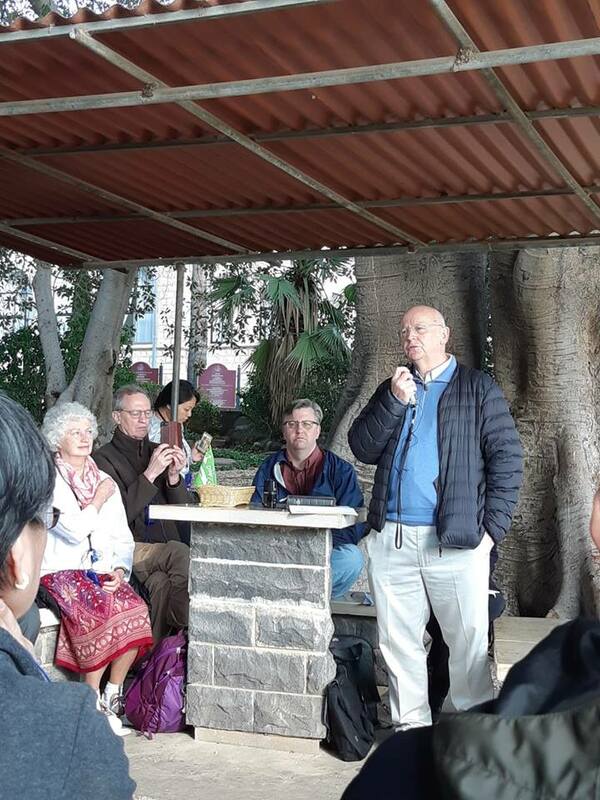 Laurence Freeman’s reflection at the Mount of Beatitudes. Sharing is an enriching experience through generosity. Fr. 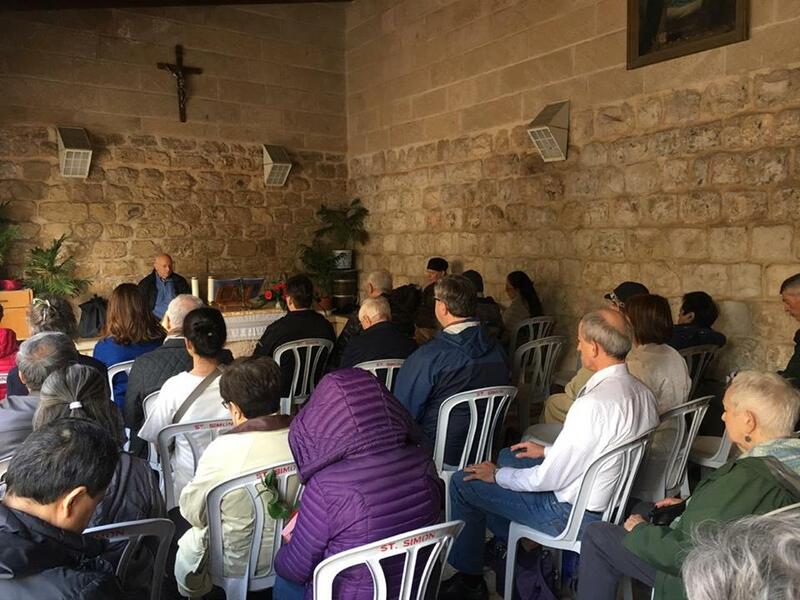 Laurence and our pilgrims in meditation at the St. Simon the Canaanite Chapel in Cana. Our pilgrim, Larry Veloso, was asked by Fr. Laurence to share his challenging journey, inspire fellow pilgrims with his personal witnessing of the Lord’s loving work in his life, which is battling a life threatening illness. 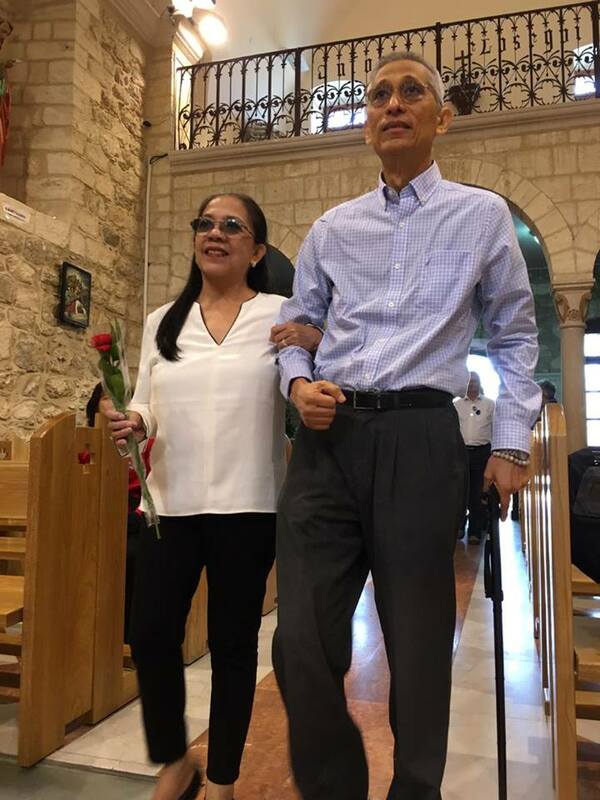 Note: Photo is Larry with his wife, Dedit, before the renewal of marriage vows at the Wedding Church of Cana. A sketch prepared by our pilgrim, Ludwig Clarke, of Fr. Laurence giving reflections while on a boat ride on the Sea of Galilee. 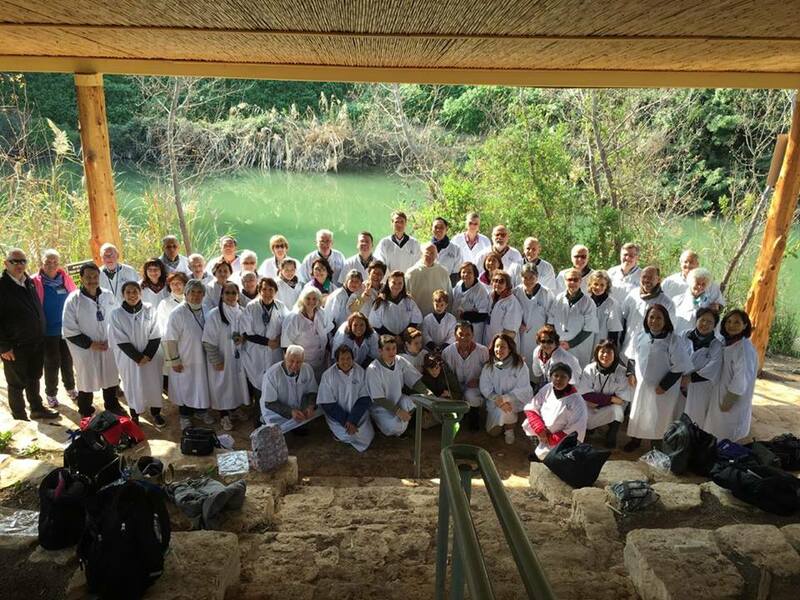 A complete group photo at the River Jordan before the renewal of baptismal vows. — I dedicate it to JM, who took her oblation today, explained to us so movingly how she had started out on her journey of meditation. It matters that we are listening to the question… it opens us up to self-knowledge… to the interior prayer of the heart. ~ Fr. 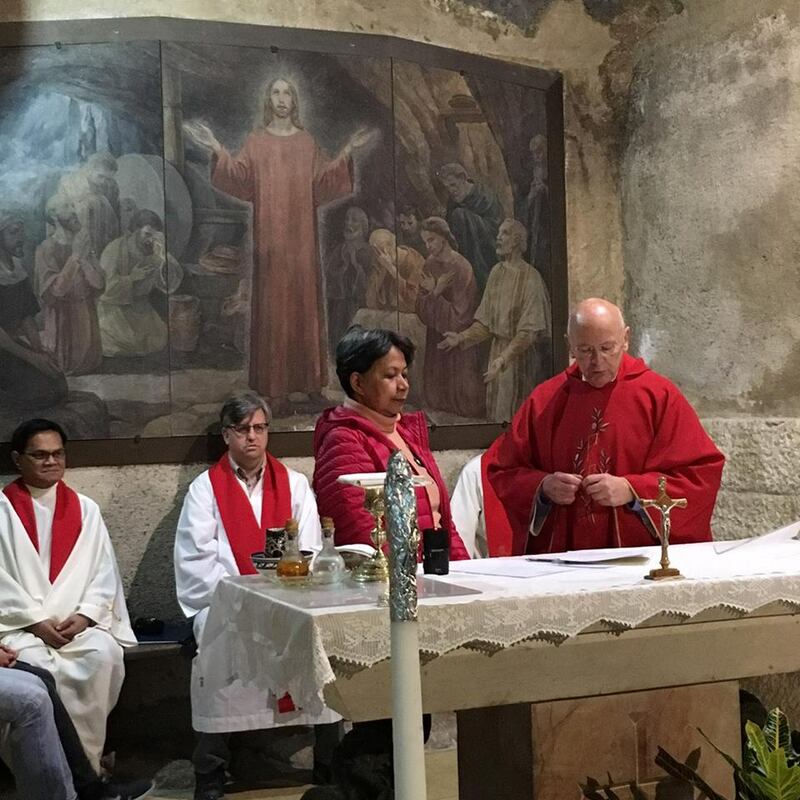 Laurence Freeman’s reflections at the Church of the Holy Sepulchre in Jerusalem, where he also led the group in meditation. At the Garden of Gethsemane where Fr. 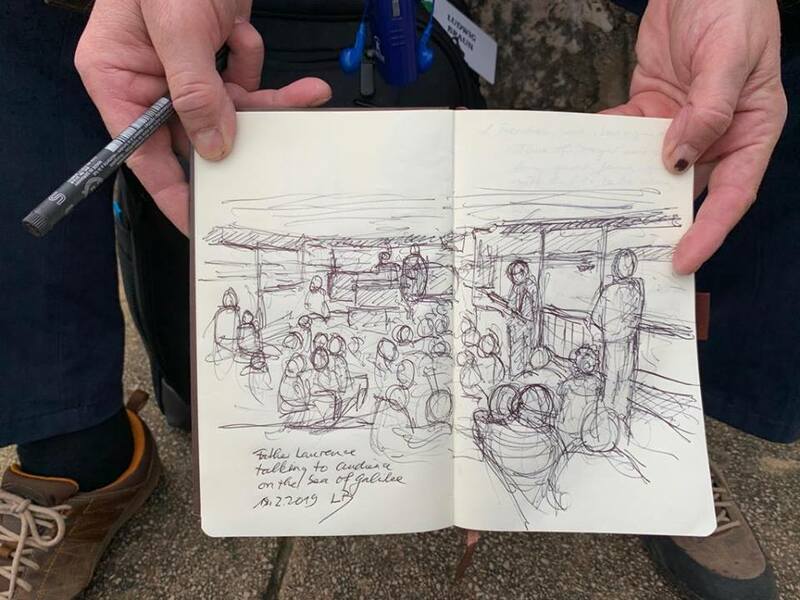 Laurence shared some reflections and the group had meditation (sketch by our pilgrim, Ludwig Clarke). Fr. 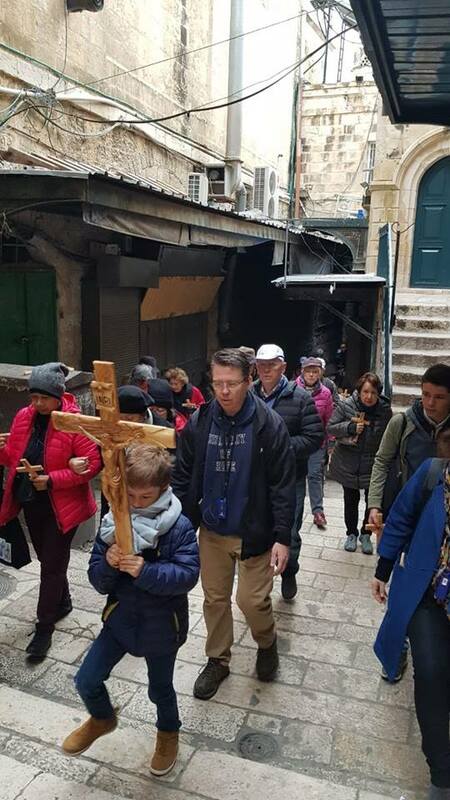 Laurence and our pilgrims prayed the Way of the Cross at the Via Dolorosa, the path which Jesus walked while bearing the cross from the place of judgement (Praetorium) to Calvary. 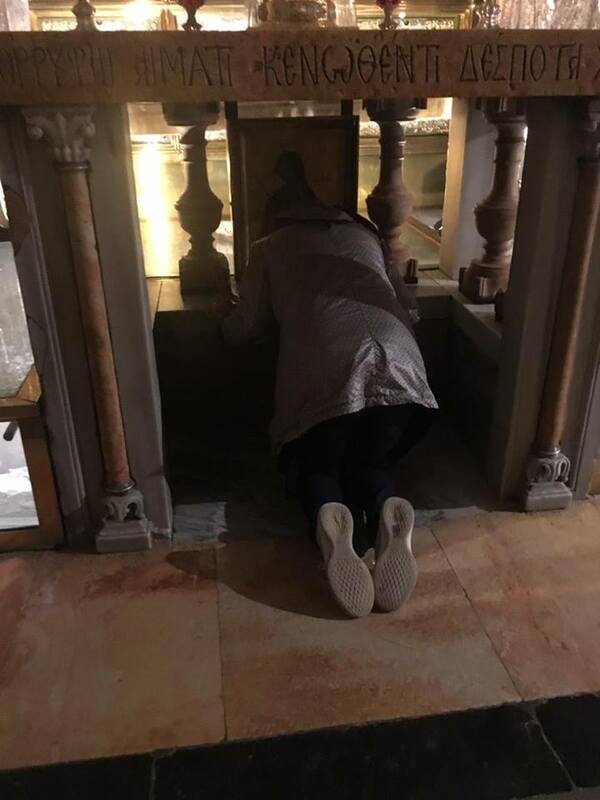 Our pilgrims kissed the spot where Jesus was crucified at the Church of the Holy Sepulchre. Mary is the symbol of contemplation while Martha is a symbol of action. Quality of being impacts the quality of action. Being comes first before action. Being comes first before the doing. 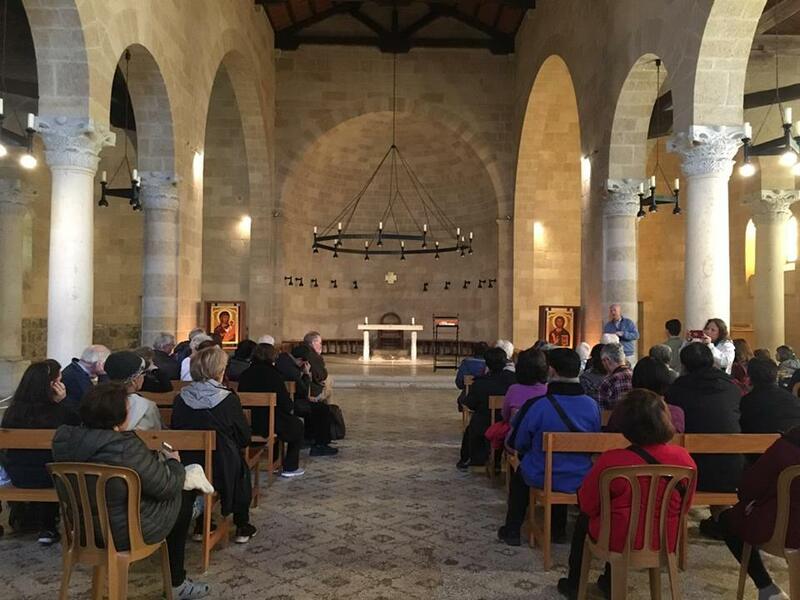 At the Benedictine Monastery in Abu Gosh, Emmaus, where Fr. 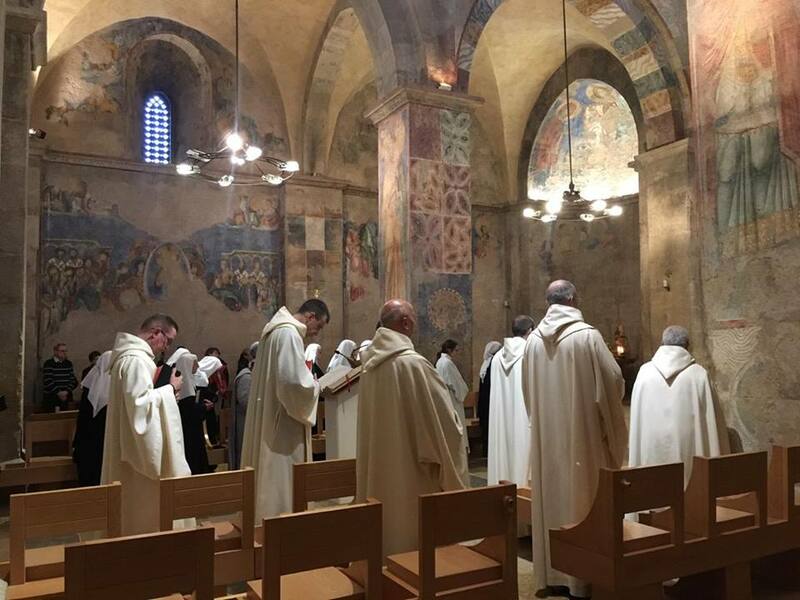 Laurence celebrated Mass at the Church of the Resurrection with fellow Benedictine Monks. 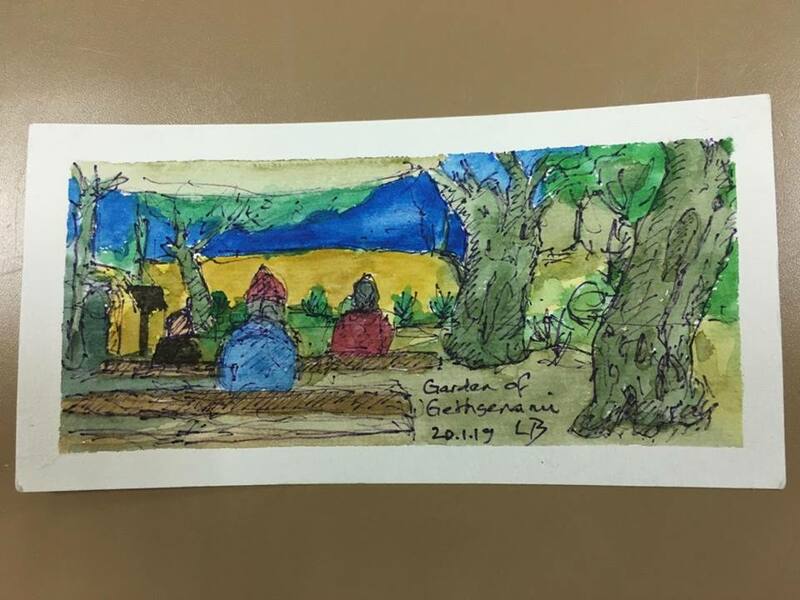 The Pilgrims’ Center is grateful to our pilgrim, Mr. Ludwig Clarke, who shared his journal with us which we used as a reference for this account; he also shared with us his beautiful sketches which we posted in our Facebook page and in this summary.